Humanity United and USAID announced last week that the Enough Project has been selected as a winner of the 2013 Tech Challenge for Atrocity Prevention competition. 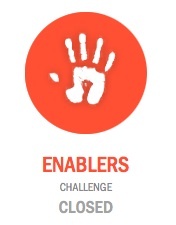 Our submission, Combining Front-line Research with Cutting-Edge Technology to Identify and Stop Enablers of Mass Atrocities, won in the “Enablers” category. The challenge for individuals and organizations in this category was to develop technologies that better identify, spotlight, and deter intentional or unintentional third-party enablers of atrocities. The idea for the Tech Challenge evolved from President Obama’s pledge to support innovative solutions to prevent mass atrocities in his 2012 Genocide Prevention Initiative. The competition was hosted by InnoCentive, a leading global open innovation company seeking to provide solutions to pressing business, social, policy, scientific, and technical problems by framing them as “challenge problems” for the world’s smartest people to solve. Our proposed solution to the challenge was an investigative model that uses current platforms for culling, integrating, and analyzing data from various public and private sources—such as those designed for the defense and intelligence communities—to reveal financial relationships and transactions that were previously hidden. Using a combination of field research and reports from local partners, the project would collect data that show how theft of state assets is feeding illegal networks that finance some of the worst violence of our time. The evidence would then be used to hold regimes, rebel leaders, and third party collaborators accountable for mass atrocities. “As an organization that strives to end genocide and crimes against humanity in areas where some of the world’s worst atrocities occur, we are both grateful and heartened by the commitment shown by the White House, Humanity United, and USAID in encouraging innovative ways of addressing the grossest human rights violations in the world today,” said Enough Project Executive Director John C. Bradshaw. To break the cycle of violence in the areas where we work, it is essential that the network of individuals and regimes that finance these mass atrocities are identified and held accountable. We hope that human rights donors and organizations will continue to invest in efforts of this nature as a way to end these crimes against humanity. Read more about the winners and the Tech Challenge.